Kenneth E. Schultz, 79, of Elk Avenue, Adams, Wisconsin formerly of Saukville, Wisconsin died September 10, 2015 in Madison, Wisconsin. He was born August 16, 1936 in Milwaukee, Wisconsin to Elmer and Hilda Ebling Schultz. He grew up in Milwaukee and served in the US Army in Nelligan, Germany from 1959 to 1962. Ken worked for Victory Steel Supply in West Allis. He started in the aluminum division, working his way up the ranks and retired as Shop Superintendent after 44 years in 1998. While working at Victory Steel he met Laurelyn Schultz and married her November 26, 1966. They made their home in Milwaukee until 1973 when they moved to Saukville, Wisconsin. Together they raised a family and were very active at Our Savior Ev. Lutheran Church in Grafton, Wisconsin. Ken helped move and re-build the original church building in the early 1970’s and served on the church council for many years. A love of the outdoors was shared by the whole family with many camping trips throughout the state. He enjoyed his model trains and any opportunity to watch trains or transport on barges was never passed up. After his retirement in 1998, Ken and Laurie moved to Adams, Wisconsin, his northwoods retreat. They took many trips around the country either by road or train and enjoyed visiting family and making new friends with his infectious smile and laugh. He is survived by his wife Laurie of Adams, his children Kurt (Lisa Murray) Schultz of Fairbanks, Alaska, Brian Schultz of the Town of Port Washington, Wisconsin and Kristen (Mark) Andrews of the Town of Belgium, Wisconsin and his grandson Kyle (Ashley Tarvas) Schultz of Cedar Grove, Wisconsin. He is further survived by nieces, nephews, other relatives and friends. He is preceded in death by his parents, sisters Lois Johnson and Beverly Zeman and nephew Doug Johnson. Memorial services will be held Noon Friday, September 18, 2015 at St Paul’s Ev. Lutheran Church, 517 Grayside Avenue, Mauston, Wisconsin with visitation from 10AM to Noon Friday at church. A memorial will also be held Noon Saturday, September 19, 2015 at Poole Funeral Home, 203 N Wisconsin Street, Port Washington, Wisconsin with visitation from 10AM to Noon Saturday at the funeral home. Memorials to St. Paul’s Church (517 Grayside Acenue, Mauston, WI 53948) or the New Chester Fire Department (P.O. Box 64, Grand Marsh, WI 53936) appreciated. 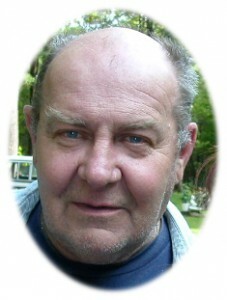 Previous Post: Stalf, George M., Jr.
Next Post: Knop, Keith B.
Dear Laurie & Family–just became aware of Ken’s passing! I’m so sorry to know he has left us…. He will always be remembered for helping with THE TALK OF THE TOWN newspaper as well as other things. You are all thought about and cared about. So sorry to hear of Kenneth’s death. We knew him from Our Savior Lutheran Church where he did much work in developing the property. God go with all of his loved ones. Ken will be greatly missed by all those who loved him. It has been an absolute pleasure getting to know he and his amazing family throughout the years. I’ll miss ya on July 4th, Ken! Thoughts and prayers are with you all during this difficult time. Ken was a great family friend and will be greatly missed. Ken was a great friend and neighbor to my parents in Adams. We looked forward to him stopping over at my folks house when we would be there for a visit. He will be missed by so many.